This is going to be an odd/funny sort of post. I figure though, if I'm having to work out this issue, possibly other people might have the same issue and gain from my findings (actually after looking up pics, I KNOW others have the same problem.) So...you know we have furry children...well, here is what my bathroom floor looks like after (as my husband puts it,) the "Yankees win," and they throw a parade. I'm pretty sure that this solution would cease and desist the TP shredding extravaganza happening in my bathrooms. Let's hope so anyway. Thanks for laughing with me. Can't help but love animals, all their quirks, and the struggles that sometimes come with wanting a nice home and having them too. 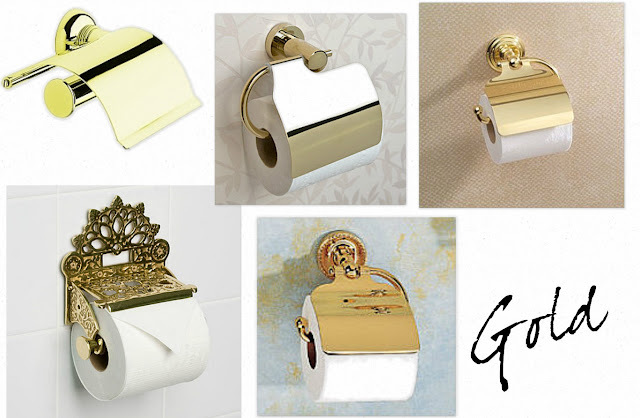 Too funny....if it makes you feel better, my 3 year old also loves the stuff- I pick up way too much toilet paper on a daily basis;) Love the gold options!!! My dogs did that too until I wised up and removed the whole roll and spring loaded thing. I had to take the spring loaded thing out because otherwise guests would come in and replace the roll, thinking we had just forgotten! Now the roll sits on the high windowsill by the throne. 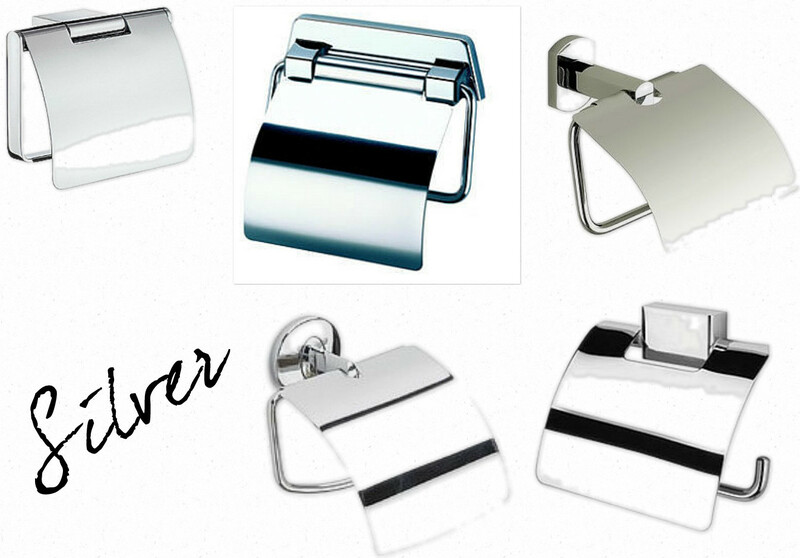 If you get a covered one, I'd get one that encloses the TP entirely, otherwise you'll just make the TP more appealing by making it shinier! I share similar but different struggles with furry children. Mine will get paper towels or socks and shred them everywhere. One of them also likes to chew on pillow corners, terrible right? We just have to keep an eye on him and he is slowly growing out of it. I had to get a bathroom wastebin with a lid on it so they wouldn't get things out of it. Years ago we had this same problem. My mother, not caring much for aesthetics, cut up a 2-liter soda bottle and fashioned a cover for the tp roll. It worked. It just didn't look especially nice. With Mom, form doesn't follow function! I like your examples. Tres chic! freaking hilarious! that video had me rolling.....our younger kitty loves boxes of all things. just tears them to pieces. which, as you can imagine, is super convenient right now since our hallways is lined with them! LMAO omg I love cats and fortunately mine doesn't give me this issue. Instead she finds a ton of fun playing with balled up pieces of lent roller paper. I don't even bother buying cat toys cuz the lent paper is her fav...But this is hilarious. this is hysterical. i have never seen a kitty do that but i imagine it is both funny and frustrating! good luck! This gave me a good giggle this morning. 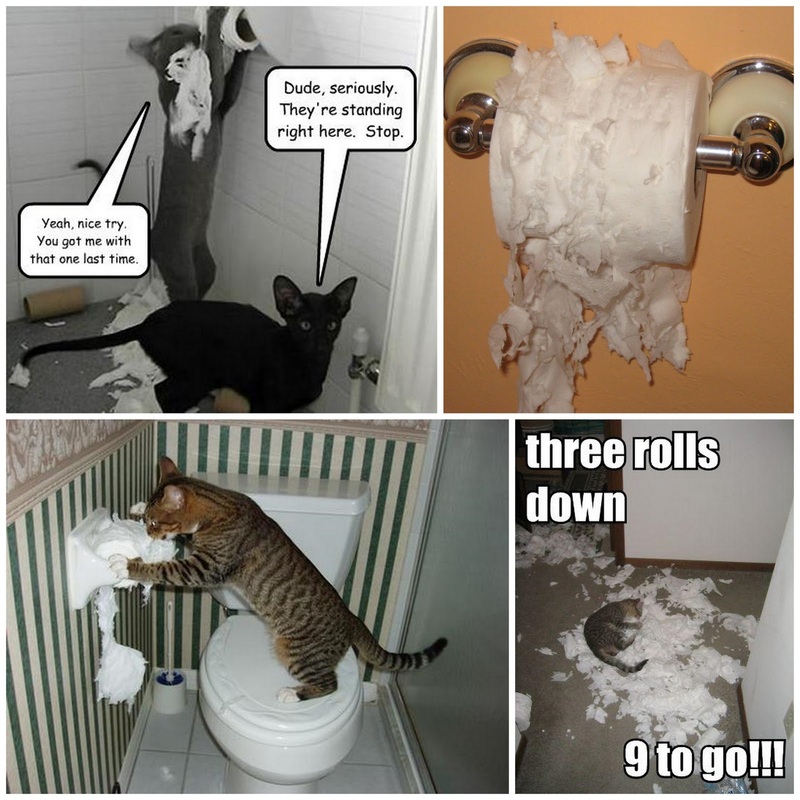 My furbaby loves to unroll the entire roll AND stuff as much as he can into the toilet. Luckily my solution is much easier, I just turn the roll around. These critters...all u can do is love 'em. Flipping hilarious! I have had cats in my life and have never seen this. OMG...laughing so hard!